This article by Arthur Attwell was originally published in Art&Thought magazine, published by the Goethe Institute. Everyone knows that books are critical to development and education. Everyone knows that bookshops and libraries are vanishingly rare in Africa. Everyone knows that most families have fewer than ten books at home. So why do we still have this problem? The book business is expensive. It costs a fortune to stock a bookstore. Even a small store needs to carry a few thousand books just to keep customers coming back. What’s more, bookstores need lots of floor space for shelves, and they are highly dependent on foot traffic, so the rent is expensive. So the margins are low, and the risks are high. And if you want to try to start an online store instead, you need to be ready to lose a lot of money at first. And then, in most of Africa, most people don’t have credit cards, or can’t get online to use them. A few years ago, the Centre for the Book in South Africa distributed free children’s books to 7000 rural homes. But there was no existing way to get them there. In some places, volunteers used wheelbarrows to carry the books from a post office to homes and schools. If you live any distance from a wealthy city suburb, books are simply not a part of your landscape. The problem is particularly desperate when books can even save lives. In Tanzania, an NGO called CCBRT treats over 120 000 people with disabilities every year. To train nurses and midwives, they order their course books by post from Cape Town, 5000 kilometres away. A leading neonatologist there said recently that training with these books could save many of the 45000 newborn lives lost in Tanzania every year. But the cost of getting the books there is absurdly high. One way to tackle this problem is to put books on mobile phones. 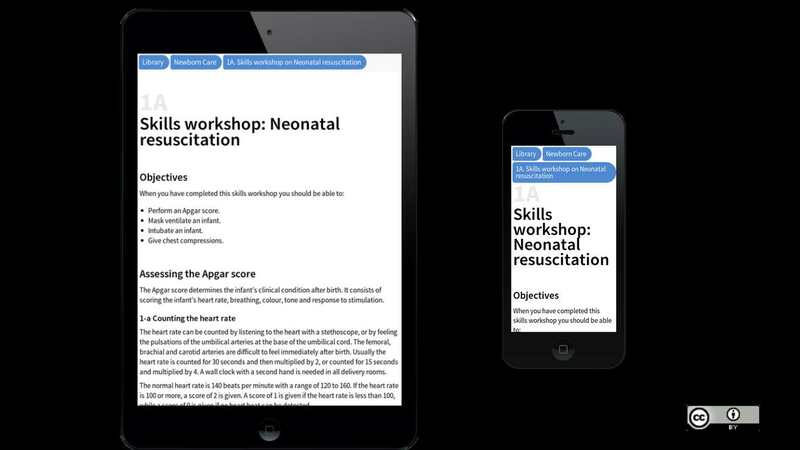 The website childhealthcare.co.za, the free online version of a textbook for nurses, had 27000 visits last year, about half of those from developing countries. That’s a hundred times the number of printed copies sold. A free novel by Sam Wilson called Kontax, which is read on feature phones, has been read over 63000 times by South African teens from every part of the country. And more and more schoolchildren are reading free Siyavula science and maths textbooks on their phones. 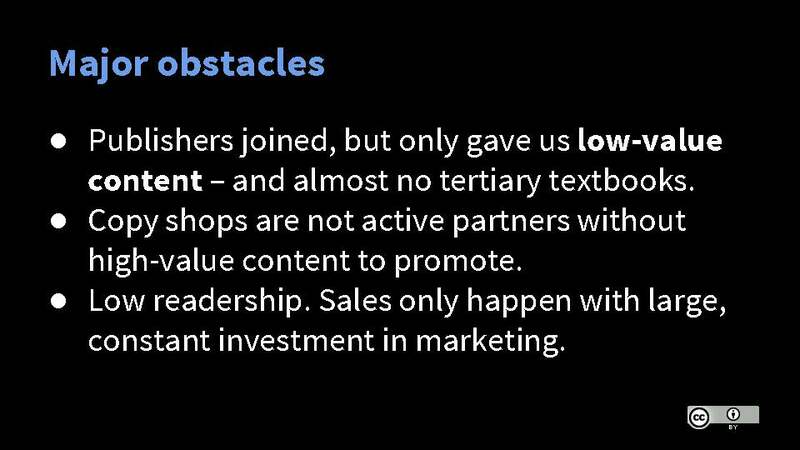 But there are still obstacles: no publisher has figured out how to make these mobile books pay for themselves yet. And to read a book on a phone you need electricity and airtime, and you have to read on a small screen that can’t handle complex images. Books on phones might be the way of the future, but they don’t work for everyone today. Of course, people are resourceful. Despite these obstacles, they do read. They find a way to get to school and study. Where do they get their books? More than anything, they photocopy. There are print-and-copy shops in every town in the world, churning out pamphlets, flyers, adverts, CVs, and books. Unlike bookselling, you can get a copy-print shop profitable quickly. 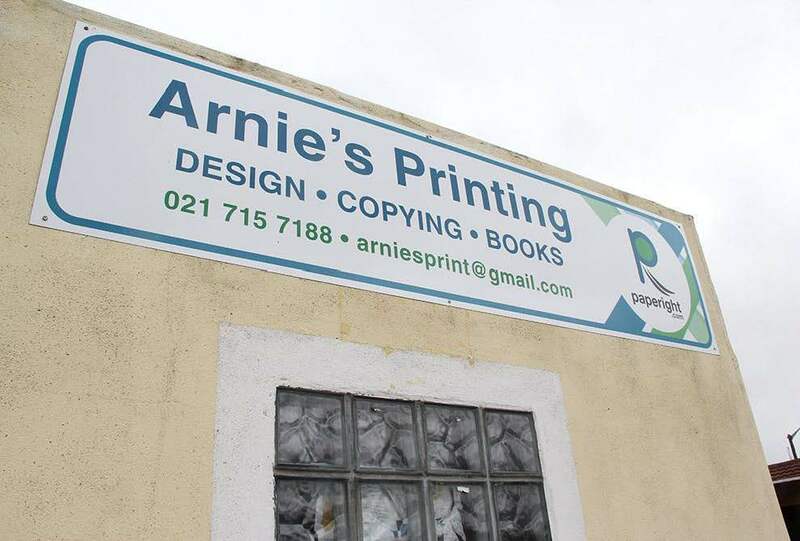 For a monthly lease of only a few hundred rand, and just a small space to work in, you can get a copier business selling thousands of sheets a month. As a result, the copier-printer may be the single most common distribution channel for publishing in the developing world. By law in most countries, you can’t scan and print a copyrighted book, and you definitely can’t sell that print-out to someone else. As you can imagine, copy shops terrify publishers. When I was publishing textbooks some years ago, we even tried printing in special inks that we thought wouldn’t photocopy well. (It didn’t work.) And the more our books were copied, the fewer we sold, and the higher we pushed our prices. And the more that happened, the more convinced we became that copy shops could never be trusted, that they didn’t understand our industry, and that they were our sworn enemy. But copy shops are solving our customer’s problems, and putting books more books in the world, surely we should help them do it better and faster? Surely a partnership would be better for both sides? Imagine if we made their jobs easier, and legal. 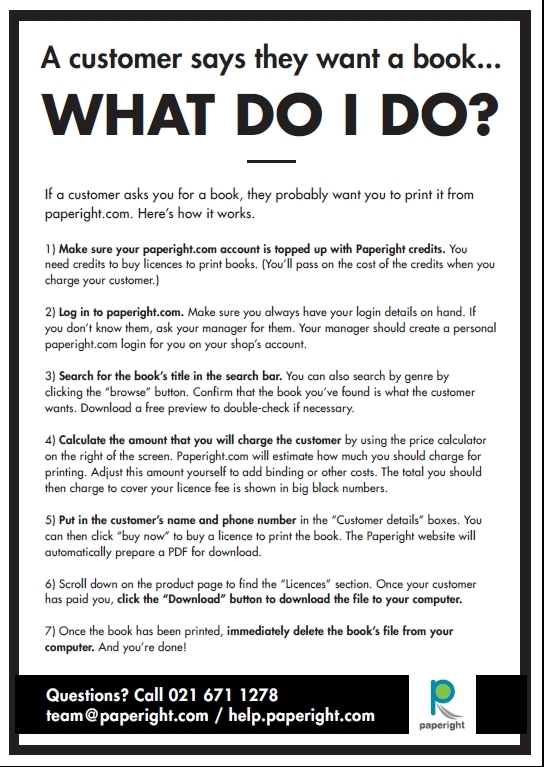 What if we let copy shops print and sell from a whole library of books on a simple website? What if we made that website so fast and easy to use that it was more profitable for the copy shop – and more cost-effective for their customer – to pay for the service than to keep copying old books the hard way? Only a local corner store would have to be online for a whole village to have access to books. And would publishers make money selling books through copy shops? I decided to find out. I gathered a team and, with investment from the Shuttleworth Foundation, we built a website called Paperight. 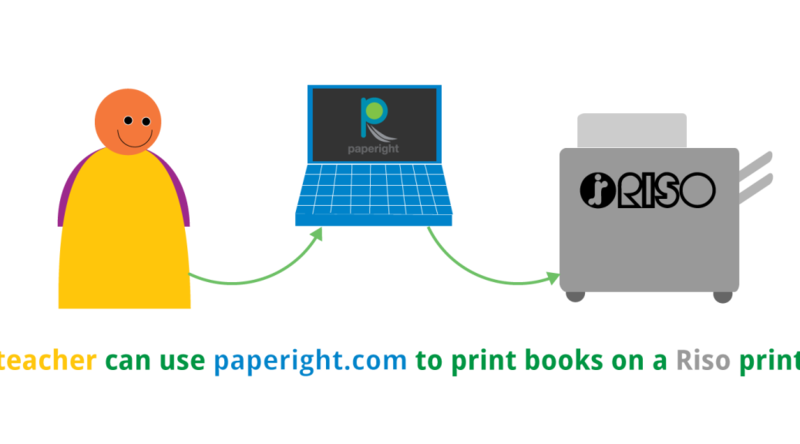 On Paperight, anyone with a printer could download books and print them out for customers. Many books were free to download, and for others, the publisher charged a rights fee. Amazingly, publishers could make the same margins from these downloads that they do from their fancy editions, and still the total cost to the customer was usually less than that fancy edition sold in a mall. Instantly, with only a basic Internet connection, every copy shop would be a bookstore. Even in the most remote village, every school could have access to new study guides. Every hospital with a laser printer could train new nurses and midwives with up-to-date information. The idea was so promising, and for six years it consumed most of my waking hours. But by December 2014, the journey ended. We couldn’t make it work financially. And its story tells us a lot about publishing and innovation. 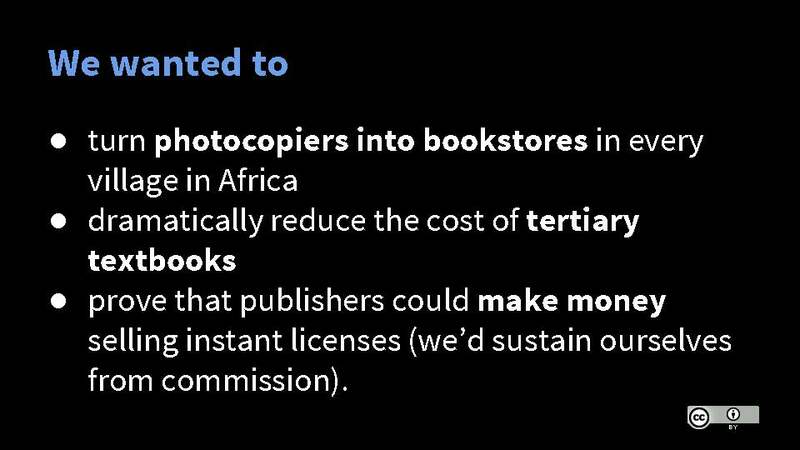 Our aims seemed simple: turn photocopiers into bookstores in every village in Africa, dramatically reduce the cost of tertiary (higher-ed, university college) textbooks, and prove that publishers could make money selling instant licenses (we’d sustain ourselves from commission). In short, we wanted to offer a more effective way to get textbooks to students. And thanks to the Shuttleworth Foundation, we had time and money to make it happen. From our site’s launch in May 2012 to Dec 2014 we put over 200 print-shop outlets on our map, signed up over 150 publishers, added over 2100 titles, and distributed 4049 copies of books. But revenue didn’t climb. I began to realise that, starting from a small base, a trickle of sales can look like traction. A trickle can inspire confidence that is both valuable – to confidence, to our ability to sell – and terribly misleading. It’s a dangerous time for an ambitious team, because both trickle and traction make you think your model is working, and that it’s time to plan for scale. But a trickle that isn’t traction can hide fundamental problems with your model. In 2.5 years we charged a total R57500 (about US$5750) in licence fees. Of this, R26000 went to publishers, we earned R20000 from books we published ourselves, and we earned R11500 in commission. It was tiny, not even enough to meet one month’s payroll. More importantly, after a year the rate of growth in sales had slowed to almost zero. So what happened? Our problems were of course, in part, the result of our strategic decisions: out of an infinite number of possible alternatives, some decisions would have been better than others. We probably didn’t have enough sales people on the ground, and perhaps we scaled too fast, and didn’t bed down the model locally before going nationwide. We’ll never know if that would have changed things. But aside from that, we knew we had three major external challenges, ones we would have faced to matter what our strategy had been. Secondly, most copy shops were not active partners, which is not surprising when we had so few high-value titles for them to promote. Many also gave their customers poor service (we double-checked ourselves by spending hours and days in stores). This meant we weren’t attracting new or returning customers. And thirdly, our target market – potential readers and students with poor backgrounds – have grown up without books. They don’t attach much value to reading. Certainly not enough to buy books before food and clothing. 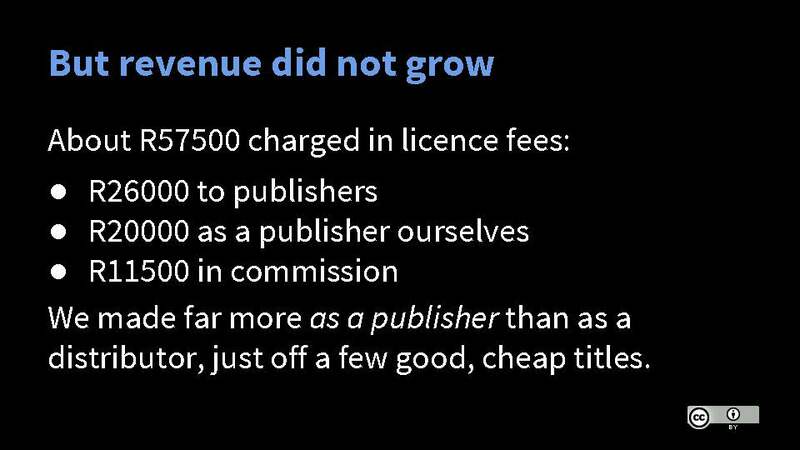 And South African publishing has done very little in the last twenty years to change that. 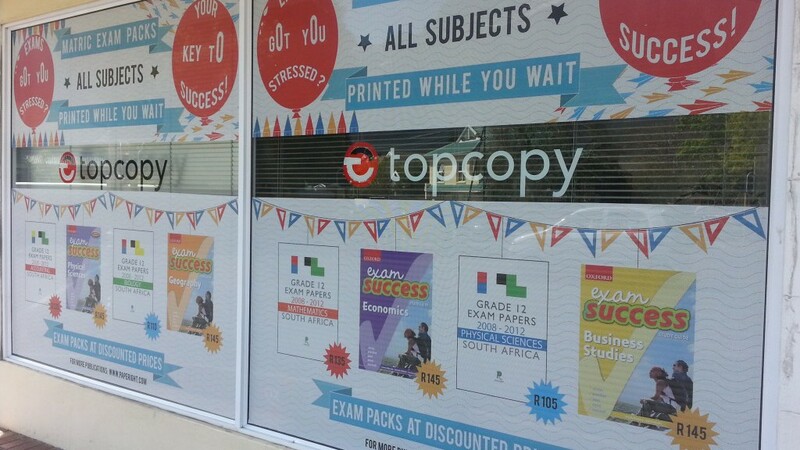 Despite our disappointment, though, buried in our revenue stats is a promising story: one small collection of high-value, low-priced titles that we created ourselves sold well: a hundred low-priced collections of past grade-12 exam papers. That one small collection of high-value, low-priced titles made as much as all our other sales combined. And that’s after those past-papers were free for the first seven months. These sales showed that if we’d had the right content, we might have done well. 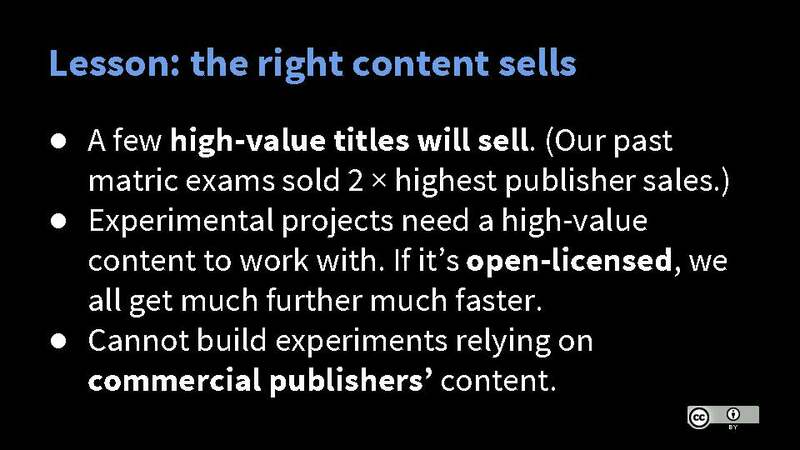 But it’s almost impossible to build a working experiment relying on commercial publishers’ content when those publishers are too risk averse to let us use popular books. Experimental projects like ours need high-value content to work with. I had been determined to push for change in publishing by enabling a better way to sell. But I now believe that you cannot create industrial change by enabling its participants. It’s like saying ‘Here’s a tool that will completely change the way you work!’ No one wants a tool that will change the way they work. Work is complicated enough as it is without having to learn about new tools. Nonetheless, change must be possible. People just need different motivators. 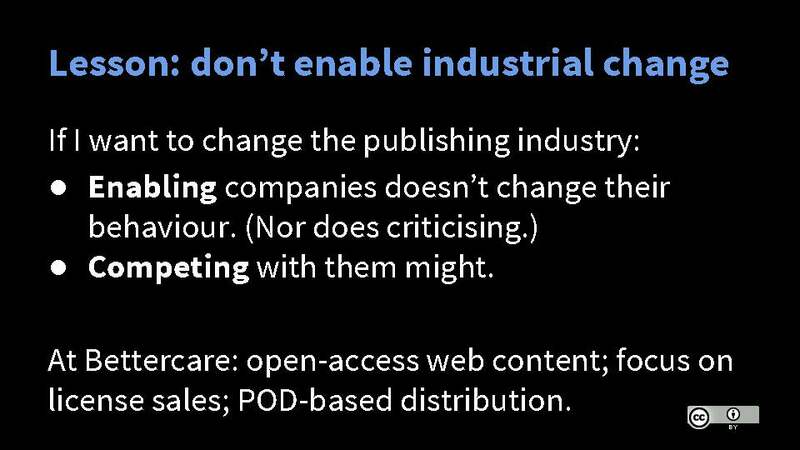 I now believe that to change an industry you shouldn’t try to enable organisations to change for the better. You should take those new tools and compete with them. Challenge traditional methods head-on by challenging for market share. If you fail, you can always try something else. And if you succeed, you will either replace the incumbents or force them to change. Both outcomes are good. South Africa has been democratic for twenty-one years. It’s a good time to reflect on how far the local book industry has come. Book production values have soared. We have more black authors, more major women writers, and they’re selling well internationally in more popular genres. It’s a very good time to be a wealthy book lover in South Africa. It’s not a good time to be anyone else. The number of bookstores outside suburban malls has hardly changed. Working from the Publisher’s Association’s most recent industry survey, the number of trade book buyers is probably less than two million, or 4% of the population, if they are spending about R700 ($70) per person, per year at retail value. That’s roughly four paperbacks each. New books are almost all in English and Afrikaans, the home languages of wealthy, white South Africans. Of R312 million ($30 million) in local trade publishing revenue, only R1.7 million, or 0.5%, comes from books in the country’s nine official African languages. In adult fiction, the proportion of African-language revenue is only 0.2%. (In 2008, this figure was 0.6%, so it’s got worse.) Essentially, zero with isolated experiments. The conventional view is that, outside a narrow cohort, most South Africans don’t like reading. In casual conversation, this view sometimes correlates dangerously with racial stereotypes. For instance, two senior book industry figures have told me that black South African children wouldn’t read Harry Potter in Zulu because it’s “culturally irrelevant.” If this mindset is common among editors, it’s a key reason we’ve made so little progress. Outside traditional publishing companies, there are bold attempts to sell books to new readers. Projects like FunDza, Bookly and EverEgg focus on mobile phones as a way to grow reading, though none have found a business model that would satisfy traditional publishers. 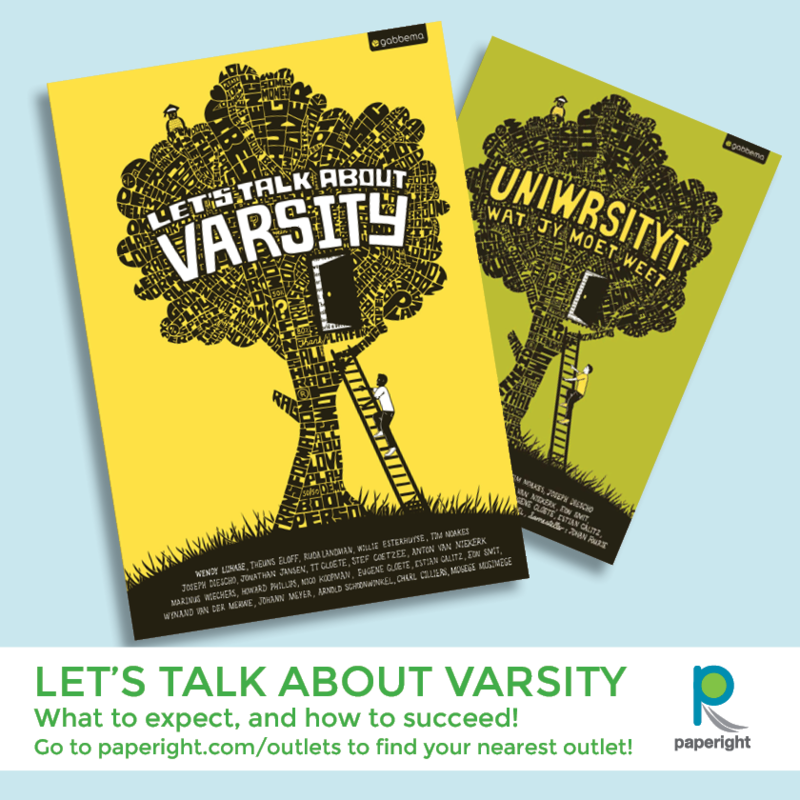 Others, like Megabooks, focus on print-on-demand – though like Paperight did, they struggle without committed buy-in from local publishers who control the most valuable educational content. So market-based solutions seem unable to get off the ground. Where markets should grow from little pockets of early adopters, there may not be enough pockets to grow from. For most South Africans, books are a luxury they could never afford. New data from the University of Cape Town’s Unilever Institute shows that over 34 million South Africans (70%) survive on an average household income of R3000 ($300) per month. They regularly skip meals and turn off electrical appliances long before payday. In those homes, even the cheapest books would never be prioritized over food and clothing. For those who’ve made it out of poverty, books remain invisible. When books have never been a part of your life, you are unlikely to seek out and invest in them. 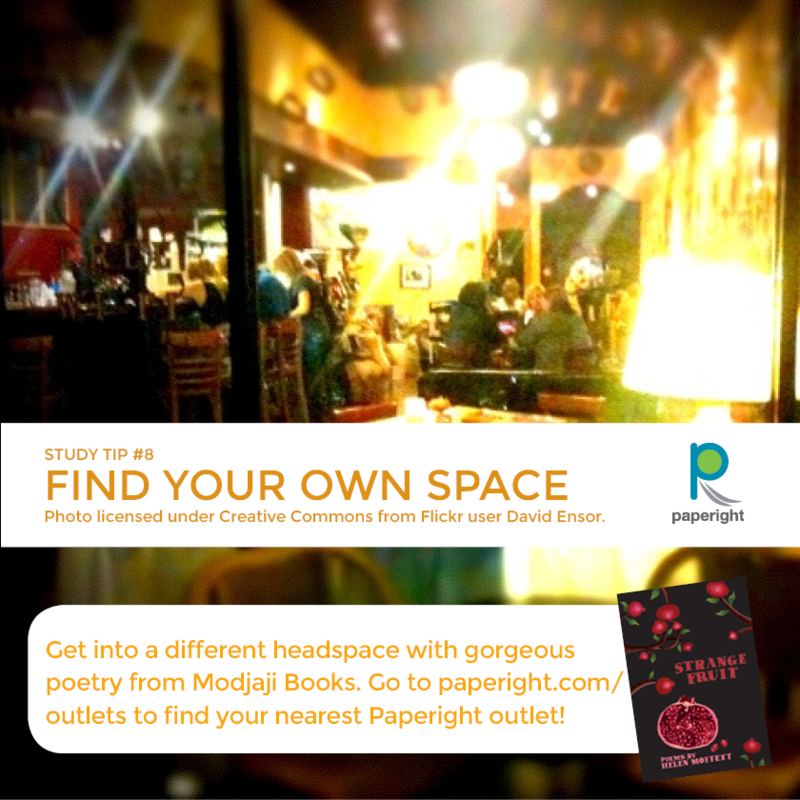 At Paperight, even when we solved for price and availability, books remained largely invisible without intense and expensive local marketing. If as a publishing industry in 1994 we’d taken a twenty-year view, we might have seen that our biggest challenge lay in making books visible to South Africans. We’d have given away millions of free books to children – just as the UK does on National Book Day every year – and seen many of those children blossom into keen book buyers today. Seen this way, the market-based challenge lies not in finding right business model, but in taking a long-term view. Less like Jack’s beanstalk, more like bonsai. 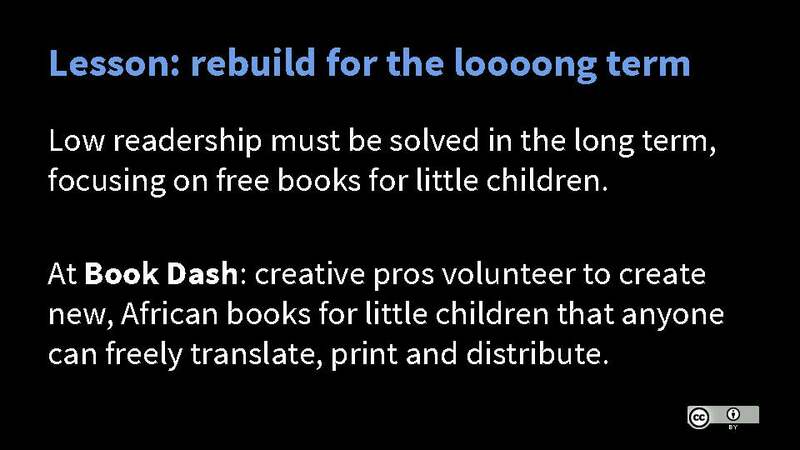 A new non-profit called Book Dash, which I helped found last year, takes exactly that view. Book Dash focuses on creating and giving away free, high-quality books to needy children. 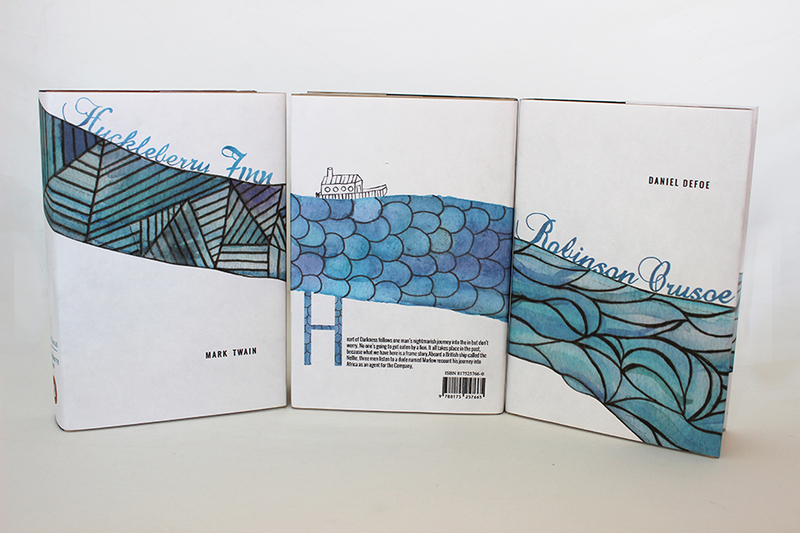 The books are created by volunteers, all creative professionals, who participate in twelve-hour book-making marathons. 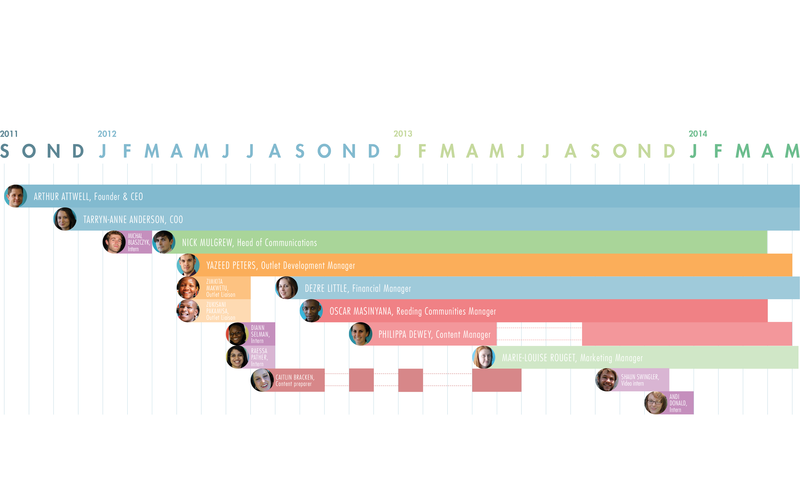 Some are from book publishing, but most are from other industries: animators, artists, copywriters, journalists and designers. Almost everything is done by these volunteers – to date, my company and a few other donors have covered direct costs worth about R200 000 (US$20000), and Book Dash has crowdfunded R80000 for printing books for children. Everything the volunteers create is open-licensed (Creative Commons Attribution), so that anyone can translate, print and distribute the books freely. 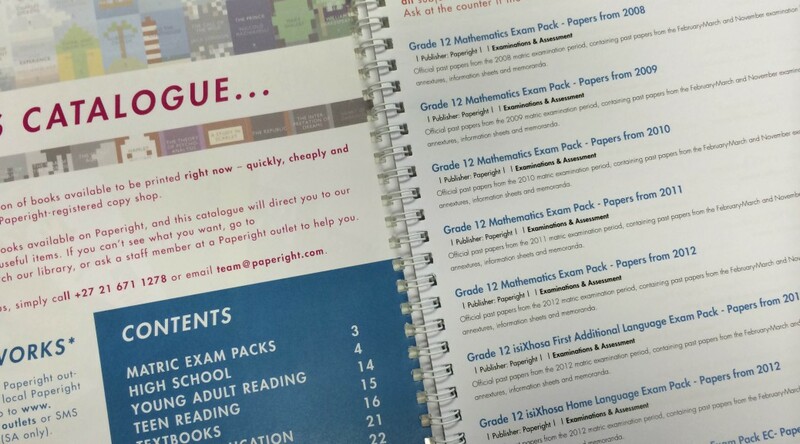 And Book Dash is creating basic HTML versions for mobile-phone initiatives. Already, other organisations have come to the party: the African Storybook Project has funded Book Dash creation days, and they and the Nal’ibali reading campaign have translated Book Dash stories into several African languages. And Book Dash stories are appearing in Nal’ibali’s fold-your-own-book newspaper inserts, where commercial publishers’ stories were used before under proprietary licenses. The aim is to slash the cost of high-quality children’s books for literacy organizations to the cost of printing alone. When printing as few as 5000 copies, unit costs dip under a dollar for bookshop-quality editions. Book Dash is very different from Paperight, but it aims to solve essentially the same problems. And if it succeeds, perhaps in ten or twenty years time there will be far more readers, and bolder publishers, and Paperight’s distributed print-on-demand model might have another, better chance. This is adapted from a slightly longer version on Arthur Attwell’s blog here. For every innovative startup in publishing, it’s hard to remain patient while pitching to publishers over and over again. Most of the time these companies seem impervious to change. Here are my five hard truths about pitching to publishers. 1. People love you. Their organisations don’t. When people buy a product or buy into an idea, it’s emotion that makes them do it. They use logic to justify the emotional decision after they’ve made it. And emotionally, publishers get very excited about social impact. But convincing a person with emotions is very different from convincing an organisation. It takes an untiring champion to get a decision through an organisation’s decision-making process, and this is where innovation stalls. 2. The right person is rarely the right person. When we pitched Paperight, we were bounced from the rights-and-licensing manager to the sales manager to the digital manager, and none of them were sure they could just sign up their company. In the end, it matters less that you figure out who is responsible and more that you find someone, somewhere who’ll just get on with it. 3. Most people don’t speak XML. Most publishers don’t understand technical jargon. They have their own vocabulary to describe their needs. When pitching, you have to ask sensible questions till they describe the product they need in their terms. Only then can you explain why what you’re offering solves their problem. This sounds obvious, but it’s really hard to do and takes lots of practice. Here’s a number: 55%. The gross margin that most publishers aim for on each book. In many companies, it’s a sacred number. The rule is: “Do not propose publishing a book that does not hit this number.” Sacred numbers are very useful if you want people to produce the same kind of product over and over again to sustain an established business. But when you want to innovate, sacred numbers are big obstacles. When the decisions a company’s staff can make are circumscribed by specific numbers, the numbers define how the company thinks. Sacred numbers define a company’s culture. In psychology, these sacred numbers also cause what’s called anchoring. When a number is an anchor, we use it to evaluate any other number by comparison. In the case of a 55% margin, or a standard print run or a common price point, publishers compare any number you give them to these anchors. If you pitch a project that will make a million sales at a gross margin of 10%, they’re going to have trouble believing in it. Their anchors make it hard to fit new numbers into their company culture. Every innovative publishing service or startup is trying to offer publishers a new set of numbers. But company values are big rocks to move. Moreover, the staff must actually know how their company’s numbers interrelate. Often, publishers I speak to don’t know the real costs and margins on their products, especially warehousing, wastage and other provisions that don’t appear on their standard costings spreadsheets. As a result, they simply aren’t empowered to make the kinds of decisions that innovations require. 5. Risk and regret loom large. People fear losing much more than they desire a corresponding gain. When you’re pitching a service to a publisher, they fear regretting their decision much, much more than they want your product. Even if they want your product a lot. As a result, publishers felt safer giving us low-value, low-selling content, thinking this would reduce their risk of failure. Ironically, this had the opposite effect: by putting low-selling content on our site, they actually increased their risk of failure, because this low-value content did not sell at all. To make an innovation work, you have to maximise your chances of success by using it for the best content you have. 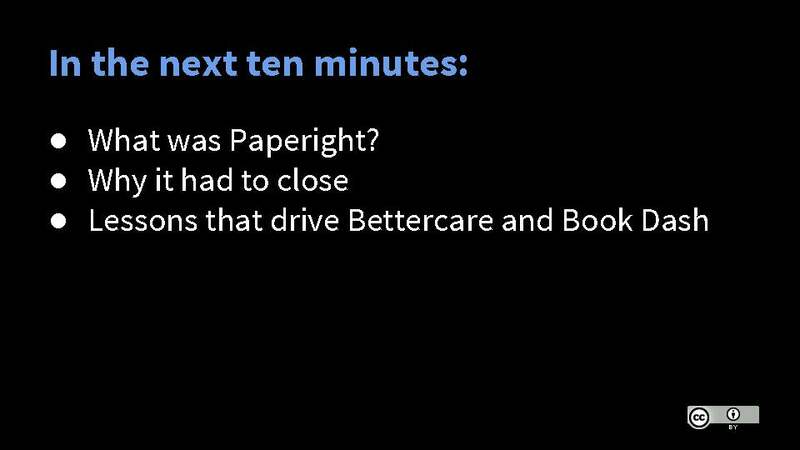 In the next ten minutes I’m going to talk about three things: what was Paperight, why we had to close, and a few lessons (out of a great many) that I’m taking into my next ventures. 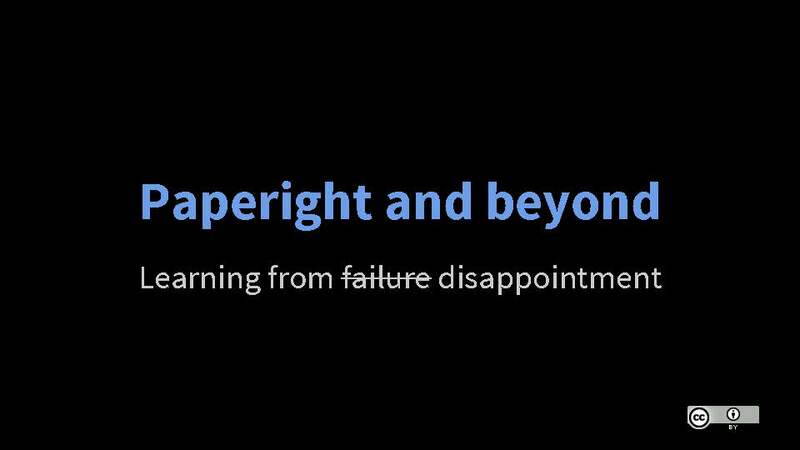 But first, a quick note on learning lessons from disappointment. 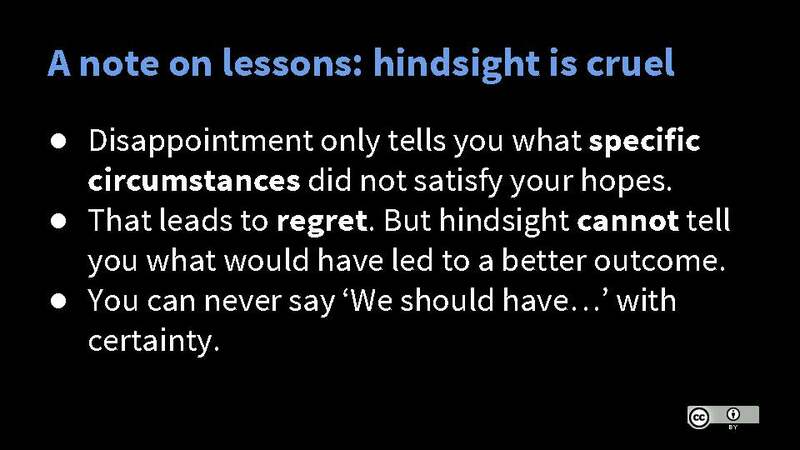 Hindsight is cruel, because it’s almost certainly wrong. The disappointment you feel when you decide that your project didn’t work only indicates what particular set of circumstances, and series of events, didn’t work out the way you hoped. That disappointment makes us regret our decisions, and looking back we’re tempted to say ‘We should have done this instead.’ The problem is that your journey was one of an infinite number of possible alternatives, and you have no way of knowing what exactly you should have done differently. Watch out for that trap of wishful alternatives. Once you start noticing it, you realise that we all fall into it all the time, wasting energy on we-should-haves. It also means that our lessons might not apply to your project directly, but perhaps they are a rough guide to potential challenges. So, let’s see what happened to Paperight. 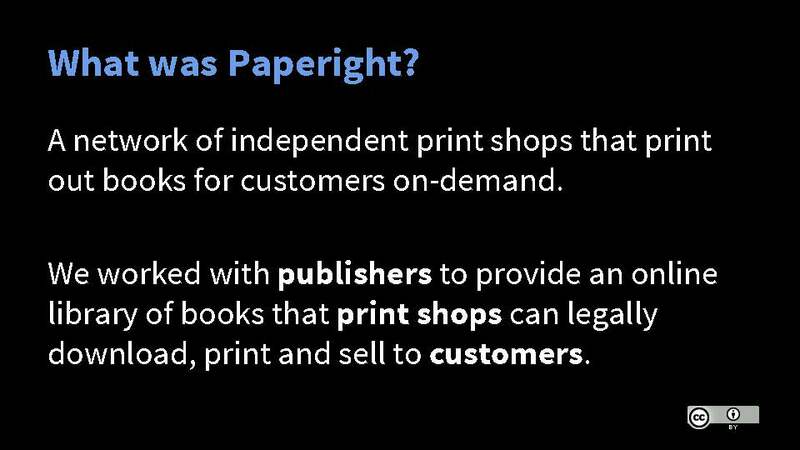 At Paperight we built a network of independent print shops that could print books out for their customers on demand. We worked with publishers to provide an online library of books that print shops could legally download, print and sell to customers. prove that publishers could make money selling instant licenses (we’d sustain ourselves from commission). We worked with copy shops to make sure their customers knew about the service. …copy shops did a great job of promoting on-demand books themselves. The early signs were promising – we told ourselves we had traction. But revenue just didn’t climb. I began to realise that, starting from a small base, a trickle can look like traction. A trickle can inspire confidence that is both valuable – to confidence, to our ability to sell – and misleading. It’s a dangerous time for an ambitious team, because both trickle and traction make you think your model is working, and that it’s time to plan for scale. A trickle can hide fundamental problems with your model. A trickle can look like traction. It’s a dangerous time for an ambitious team, because both make you think your model is working, and that it’s time to plan for scale. A trickle can hide fundamental problems with your model. That wasn’t enough to meet one month’s payroll. More importantly, after a year the rate of growth in sales had slowed to almost zero. One small collection of high-value, low-price titles made as much as all our other sales combined. 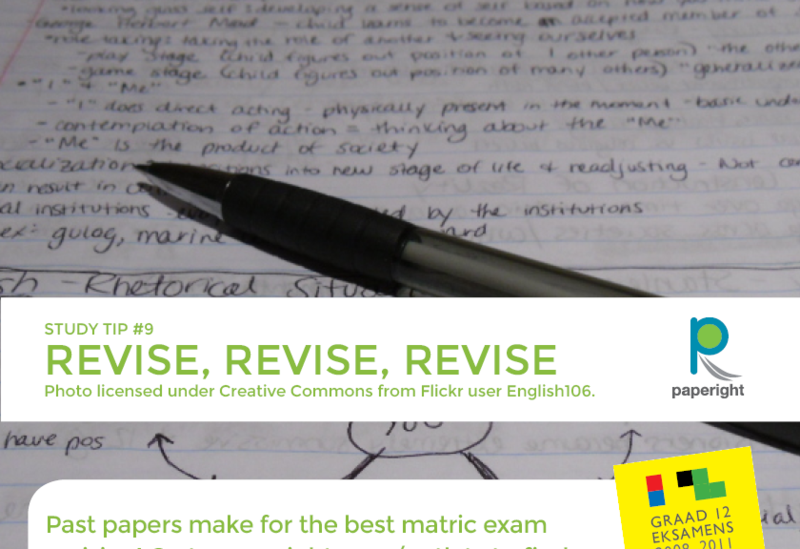 Even though we made so much of our revenue from past exam papers, we often regretted deciding to charge for them. When they were still free, we made really good headway growing customers for copy shops in poor areas, especially in Khayelitsha and in peri-urban Eastern Cape towns. From the day we started charging for them – between $1 and $2 a copy – those sales declined massively. It was a great lesson in the infinite distance between free and paid. Free content is easy to sell. 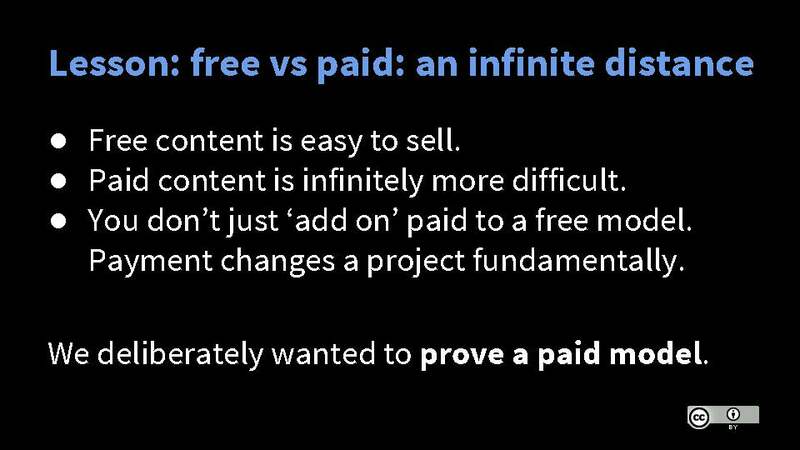 Paid content is infinitely more difficult. You don’t just ‘add on’ paid to a free model. 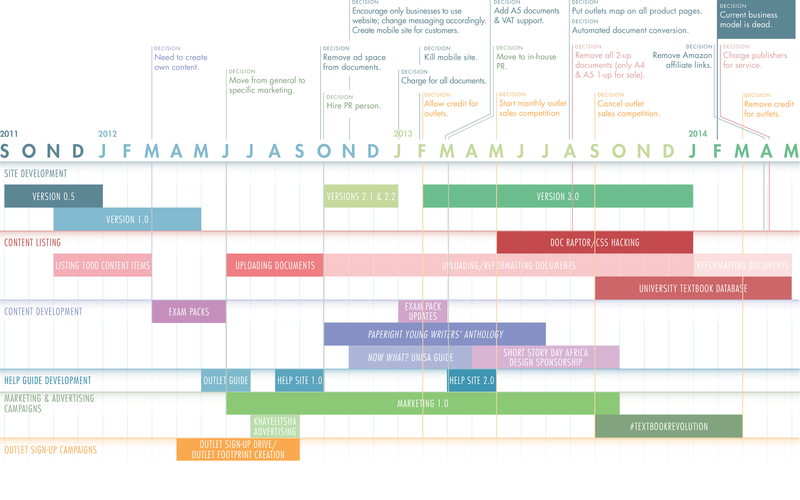 Payment changes a project fundamentally. Still, we really wanted to prove a paid model. And we did have paying customers. If I had to draw broad conclusions from this, I’d confidently say that if we’d had the right content, we could have done well. A few high-value titles will sell. But it’s almost impossible to build a working experiment relying on commercial publishers’ content. Experimental projects like ours need high-value content to work with. If it’s open-licensed, we all get much further much faster. 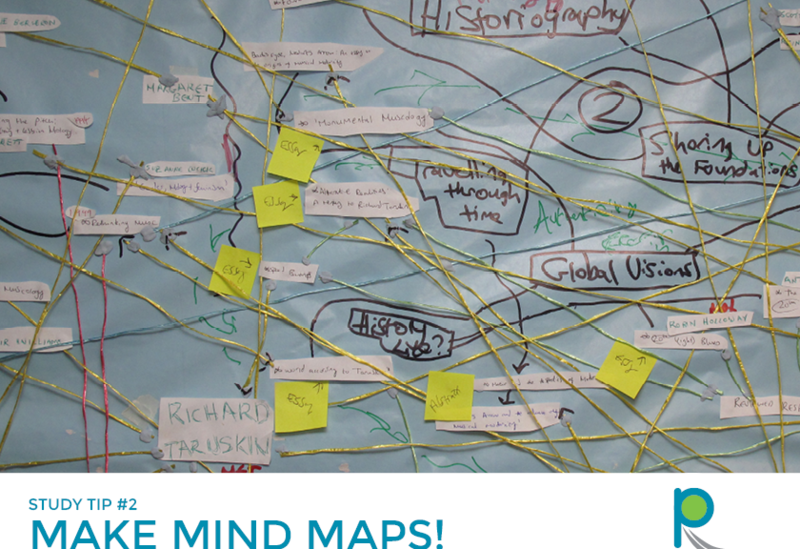 It’s critical that impact-minded content projects and funders prioritise open licensing. I was determined to push for change in publishing by enabling a better way to sell. But I now believe that you cannot create industrial change by enabling its participants. ‘Here’s a tool that will change the way you work!’ No one wants a tool that will change the way they work. Work is complicated enough as it is. Nonetheless, change must be possible. We just need different motivators. So I’ll try a different approach: competition. I’m actively implementing open-access models, easy licenses and print-on-demand at Bettercare. If we can take market share at Bettercare by doing things differently, perhaps we’ll tempt established players to do the same. Meanwhile, in other work I’ll focus on building readership for the long term. 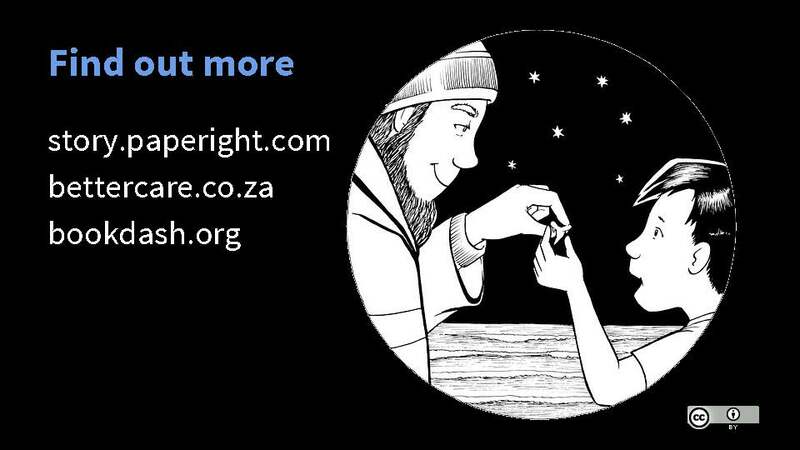 If twenty years ago, South African publishers had made a concerted effort to invest in early-childhood reading, perhaps Paperight’s distributed print-on-demand might have worked out better. So at Book Dash, a volunteer-based non-profit, we’re creating new, high-quality, African books for little children that anyone can freely translate, print and distribute. Already our books are being reused by literacy projects like Nal’ibali and the African Storybook Project, who in turn create translations in many local languages. We’ll soon be distributing digital versions through FunDza, Worldreader and others. 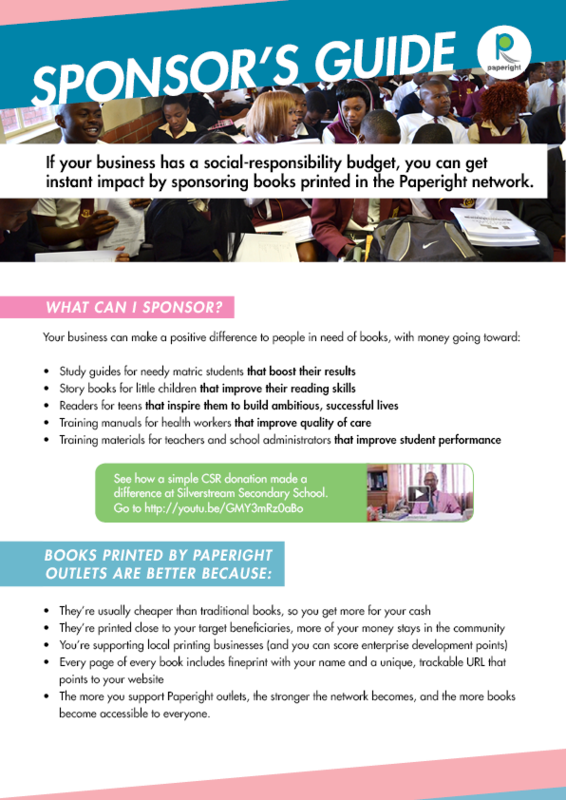 And we’ve recently crowd-funded over R80000 to print copies to give to children. It was disappointing that Paperight didn’t work, but my excitement about our next steps far outweighs that. Those were good lessons. Click on each graph to open it at full-size. If you use the monthly-archive menu on this site, you’ll find posts by team members from the months concerned. 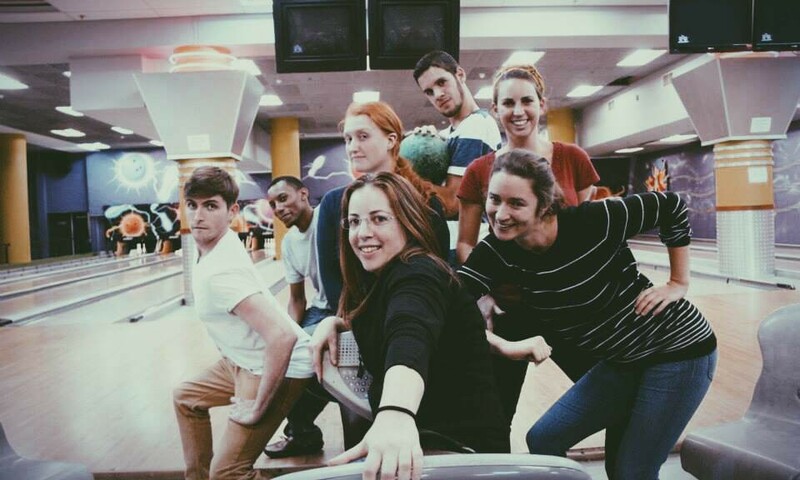 Then our team: we grew our team quickly from about five months in. This was critical in getting our outlet footprint established and creating our own content (reformatted classics and grade-12 past-exam packs). So how many books did we get out there? Here’s books distributed by quantity. That is, the number of books for which our outlets paid licenses and printed. There are three big spikes that are outliers: large bulk deals we initiated and closed working directly with schools and sponsors. These look lucrative, but the cost of making each sale was very high, so they were not necessarily profitable. With hindsight, I would have liked to have measured the time our staff spent on each sale. It would range from zero for organic sales to dozens of hours for the large bulk sales. At about R100/hour for staff time (cost to company), even two full days on a bulk sale could wipe out our margin. Often they took more than that: finding beneficiary schools for a sponsor, analysing what students needed, meetings, handovers, and more. 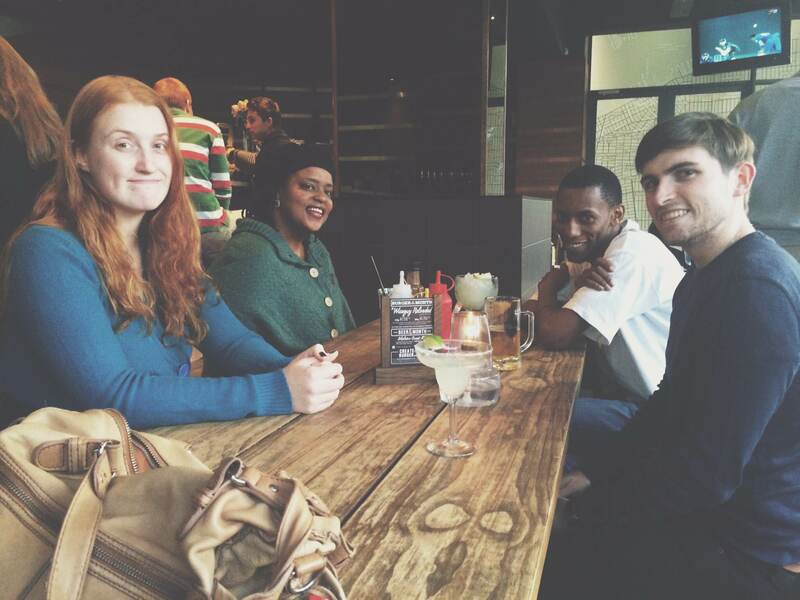 So by late 2013 I did not push our team to seek out bulk sales and focused rather on strategies (like the #textbookrevolution campaign, see posts by Marie, Tarryn and me) to grow organic sales, which I believed would make for a healthier business in the long run. For our first nine months (from May 2012 launch), most books on paperight.com were free. That is, we charged no licence fee for our grade-12 past-exam packs or our classics. And at this stage we had very few books from commercial publishers in our catalogue. 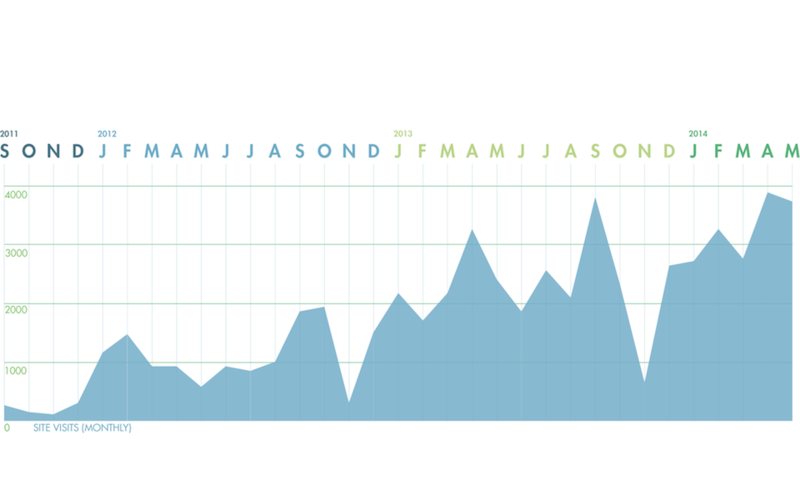 Downloads are satisfying (we didn’t know then what ‘high’ or ‘low’ would look like), but revenue is almost nil. We’re getting customers but no money. We decide from January 2013 to start charging a licence fee (usually 1 to 2 US dollars) for each copy. Revenue goes up a little, albeit in bumpy fashion. But downloads almost vanish. That is, most of our users disappear, but we do, technically, make more money from those that remain. With hindsight, I want to think we started charging too soon. But I also know that if we’d waited, we may only have postponed discovering the sad truth about our original business model. Faced with these now disappointing sales, we decide to go find some big customers. We send Yazeed on a sales course and he throws his time into finding sponsors to buy for schools in bulk. We get a few bites and by the second quarter of 2013 we think we’re onto something. I’m not yet thinking about what each sale is costing us in time, only that bulk sales may be the way we bring in cash while we grow. But our first few deals come through existing relationships, and we don’t up our game building new relationships. So we run out of good leads. By the third quarter of 2013 I realise how much it’s costing us in time, and therefore payroll, to find bulk sales. And I see that beneath the tall trees that are the bulk sales, there’s no mulch. No organic sales. By early 2014 our sales look a little better. Perhaps our smarter marketing work is paying off, and we’re also finally selling popular study guides from major South African publishers. But it’s too little, too late for our original business model. On to some web metrics. I don’t believe Paperight has ever been an online business. We’re part of the offline paper-book industry, and we just use the Internet to scale our footprint. We only realised this about ourselves in late 2012. Nonetheless, I expected to see some correlation month to month between site visits and sales. However, we’ve never noticed any real correlation we can count on or plan around. 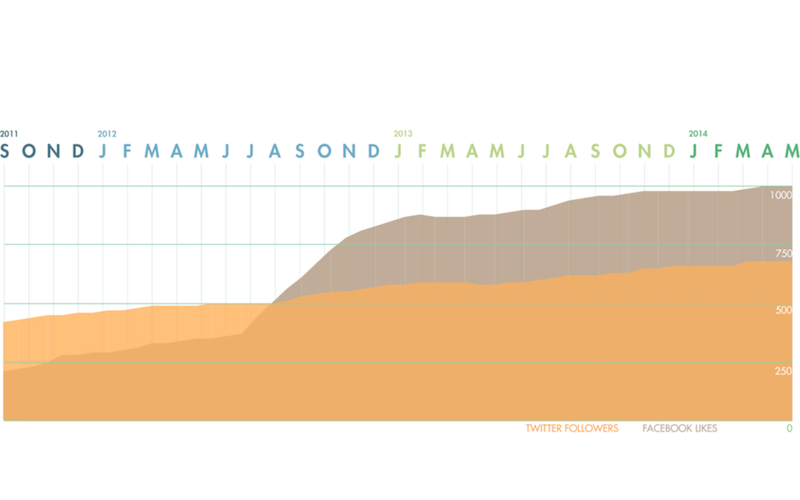 We are hugely grateful for the moral support of thousands of people over the last two years, represented well in this graph of social-media supporters. And insofar as Paperight’s mission was to change the way people think about rights and book distribution, perhaps these followers represent success. But as you can see, they have zero correlation with sales. I know that for our next phase, our big pivot, I won’t spend a heartbeat’s time trying to grow them. That said, please keep supporting us anyway. It keeps our heads up when things are tough. We have a long way to go and much more to learn. We’ll keep sharing. My last official day at Paperight was the 15th of April 2014, but after a glorious week in Tankwa Town, I returned to do some freelance jobs that Arthur needed to be done. We’ve Tweeted, posted on Facebook and released a blog post about the results here. Then I put together a press release to send out to local media. Most media outlets have been chomping at the bit for WDCCT stories so the story has gained some extra interest. The World Design Capital marketing team has also circulated the news. They were particularly impressed by the quality of the designs. As if we would have chosen duds though, really? 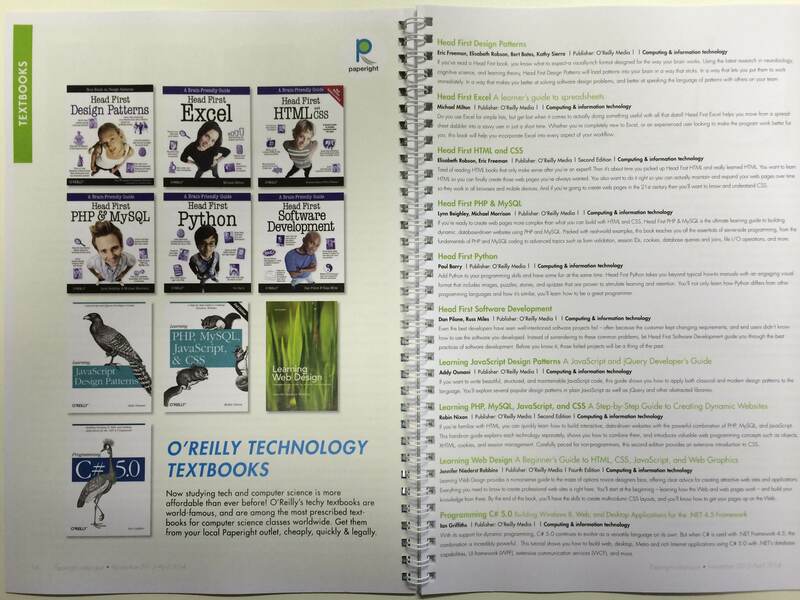 I have also had the opportunity to work on the Textbook Database. 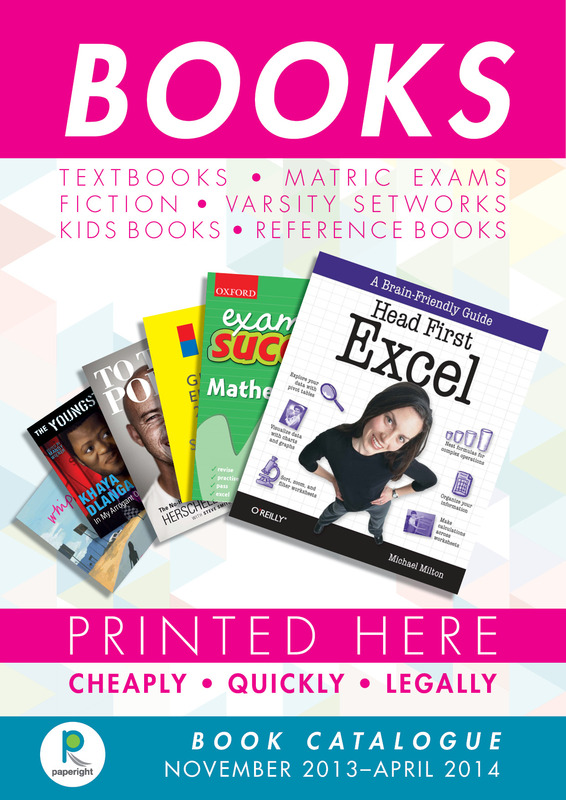 A new project for Paperight, but by no means a great change of tack, the Textbook Database will be a complete list of prescribed books for all courses across all major South African universities. Tedious though the data capturing may be, this kind of comprehensive list doesn’t exist and will have extraordinary value. 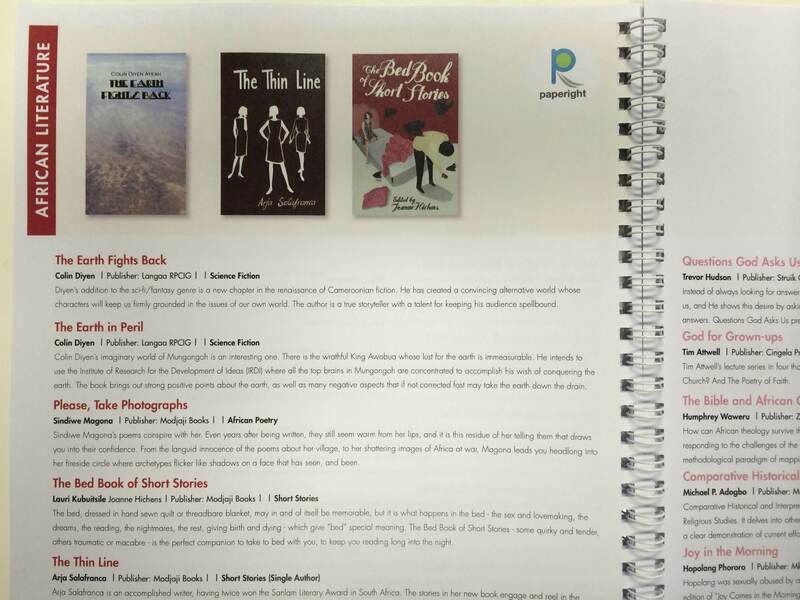 This list adds to Paperight’s goal of inclusivity within the book trade and increased access to books. 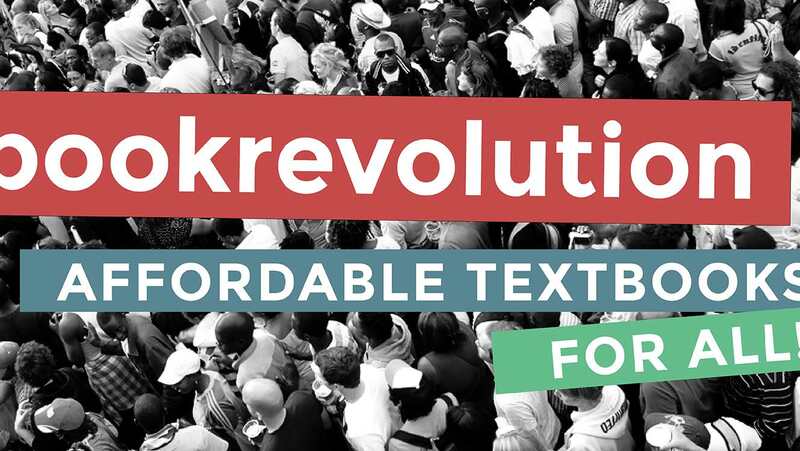 It also falls neatly under the banner of the #textbookrevolution. If I could say one thing that I have learned during my time with this dynamic team, it’s that start-ups are not for sissies. In other news, I am emigrating to France on the 17th of June so my time at Paperight is drawing to a close for good. If I could say one thing that I have learned during my time with this dynamic team, it’s that start-ups are not for sissies. I am immensely grateful for the chance to test myself and learn from an impressive group of young people who have already proved themselves in a tough industry. And to think that major industry players are reluctant to hire young people, even though the quality of young professionals in South Africa is mostly untapped, for whatever reason. I found Paperight after being told by three major publishing houses in South Africa that they did not offer internships for graduates (paid or unpaid) and that as a rule they do not hire young people because the book trade, in their words, is a dying industry. Well, with that attitude, they’ve struck the last nail in their own coffin. One day I hope they will see the mistakes that they’ve already made and realise that books will never really go out of fashion. With approximately 48 million people who don’t buy books in South Africa, there is still a lot of work to be done to make sure that everyone has equal access to such a simple resource. I am very proud to have been part of a project that has already gained incredible traction in changing perceptions about the culture and benefits of reading. Paperight has also served to expose the negative attitudes and influences that exist within the book industry, as well as highlighted certain shady practices that perpetuate a system of exclusion. Everybody should join the Paperight party. They always have cake. Ciao for now. 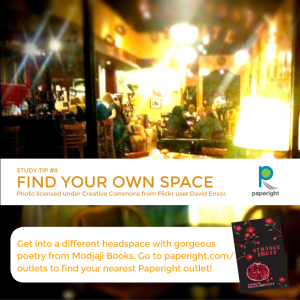 Paperight combines increased opportunities for publishers and entrepreneurs alike, as well as affordable and inclusive access to educational material. 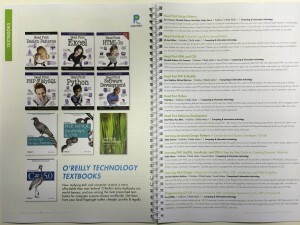 Over time, we developed a handy list of Paperight’s benefits for use in promotional materials and award applications. Saving the costs of travel and risk of book shortages for publishers, universities and the individuals who are in remote areas. Increased livelihood opportunities by extending the business model to include the poor. 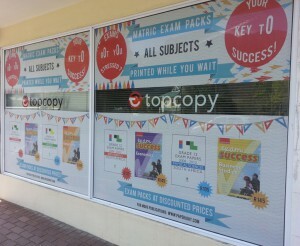 Increasing business opportunities for existing copy shops throughout Southern Africa. Building market value by giving copy shops a wider range of books and access to international products at an affordable price, thereby giving them a competitive advantage. In November of 2013, we launched our beautiful streamlined Paperight product catalogue (PDF). Having worked with the previous catalogue as an intern which is a long, impenetrable list, I was adamant that we should upgrade it as soon as humanly possible. The upgraded catalogue required fewer products and lots of colours and images to hook potential customers. One of the experiences that book buyers particularly enjoy is the sensation of browsing and this was meant to be a way of giving Paperight customers that experience. Nick and I worked together on the concept for the catalogue and the necessary design feature-y type things that would make the finished product really easy and enjoyable to dip into. In the end, Nick took everything we discussed and created an absolute masterpiece. Slick and eye-catching, there is no way that anyone wouldn’t be impressed by Paperight and the featured titles. 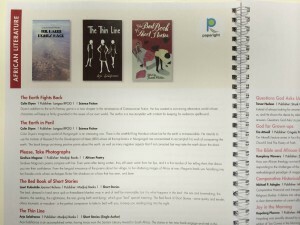 The catalogue was launched through the weekly newsletter and on the Paperight blog. Outlets were encouraged to contact us for personalised copies featuring their own logos, business addresses and contact details. We have continued to receive a regular number of requests from business owners for personalised copies and Nick has been able to keep up with the edits due to the simplicity of the catalogue’s design. In other words, his no frills design approach has made the final document simple and quick to edit. The catalogue was designed to be relevant from November 2013 to April 2014 to ensure we would not have to design a new catalogue anytime soon. Based on the marketing plan, we knew that we would have very busy months ahead that would leave no time for a full catalogue overhaul. Any newer updates to content have been featured through the weekly newsletter and through the Paperight Facebook page.